Here's the place you can find contact details for Members who provide products and services. Footy clubs are all about the people and connecting members. The idea of the White pages is so we can support businesses owned by fellow club members and in turn they provide that little extra that friends do for each other. We are a family run, fruit wholesaling business based at the Brisbane Rocklea Fruit Markets. The late Don Alroe started the business, which is now run by his son Paul, who's daughter Lauren is working along side him. 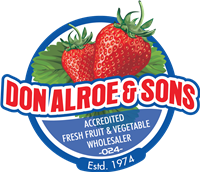 Here at Don Alroe & Sons our main objective is to bring the best of the best in Australian Produce. We buy produce from the farmers and sell to major chain stores, local fruit shops and the general public all around Australia. Strawberries are our main source of Business - naming Paul Alroe the Strawberry King within Brisbane Rocklea. Our lot number within the Brisbane Markets is " 024 "
Our Dealership has easy access and ample parking. We stock the complete Ford range, and because we are a large Dealership we can assist you in finding the right new or used vehicle, and at the right price. Make sure to ask us for a competitive finance quote also when discussing your new ride. And if you're just in the market to sell your car, please don't hesitate to get in touch with one of our vehicle appraisers. 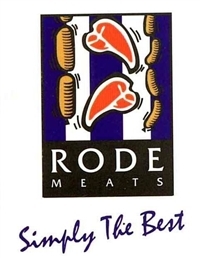 Established 32 years ago, Rode Meats continues to sell individually sourced high-quality products while providing the level of customer care which they are famous for. Rode Meats are more than simply the number one butcher in Brisbane or Queensland. They’ve been recognised as the finest butcher in the country, having won the Australian Meat Industry Council (AMIC) award for Shop Of the Year in 2011. This honour takes into account a wide range of criteria, and highlights their commitment to their products and service. "Hammerite Constructions – Building Contractor Newmarket are a building contractor that specialise in architecturally designed full renovations, new homes, shop fit outs, extensions, decks and bathrooms. Trust Hammerite Constructions – Building Contractors for Quality At No Extra Cost. Hammerite Constructions – Building Contractor Newmarket have been servicing South East Queensland since 1994. Hammerite Constructions – Building Contractors are experienced in domestic and commercial building services. We always deliver the very best standard of workmanship for all our clients, and consider all domestic and commercial jobs." 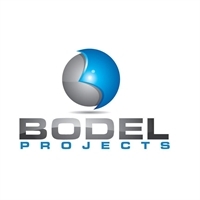 Bodel Projects is a fresh and innovative construction firm that has enhanced its experience working with some of Australia's best constructors. Our core business is in providing high quality construction, commercial & Retail fitout and insurance repair services for key clients. High results are achieved through careful and analytical project management methodologies implemented during the project life cycle. We have a depth of experience in high quality Architectural Projects, Heritage Restoration and technical building projects achieved with over 23 years' experience in the building and construction industry. With local and interstate networks Bodel Projects has the capabilities to provide a team suitable to deliver commercial projects in metropolitan and remote locations. 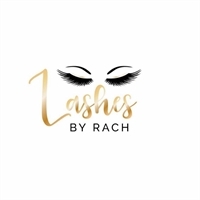 All your beauty needs specialising in classic and volume eyelash extensions. At Cross & Hamilton, we understand no two customers are the same. It is for this core reason that our highly skilled team of personal print consultants can deliver cost effective, insightful and practical advice about your printing project. You'll find our team an invaluable resource you can rely on. This combined with our innovative thinking, streamlined processes, high quality of standards, state-of-the-art printing equipment and personal service is what sets Cross & Hamilton apart from its competitors and why Government departments and the business sector trust and rely on us for their printing needs. 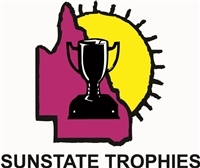 Sunstate Trophies is a Family business run by Jenny & Steve Whittle. Jenny has been rotary engraving for over 25 years and has a vast knowledge of trophies and awards. Steve has been sand-etching the glass, crystal and metal products for over 12 years and can turn your award into a keepsake. Both have vast laser engraving experience on the two laser engravers the company runs. Sunstate Trophies offer trophies, plaques, engraving, name badges, ribbons, glass and metal etching, marketing items, giftware and more. Being highly experienced in engraving and etching, Sunstate Trophies are able to provide only the best quality products and services. 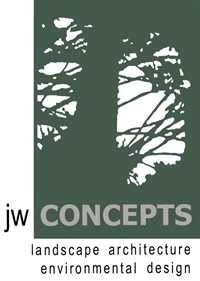 Since its establishment in 2001, jw CONCEPTS has developed a reputation for providing environmentally harmonious, sustainable and innovative landscape design solutions. Led by Jonathan Weinert, our team share a passion for Australia's unique landscape and climate, and a commitment to delivering results to brief while remaining sensitive to the unique characteristics of each site.